International yurts are popping up everywhere. Our yurt-loving friends and customers can be found all over the globe. As yurt kits can be shipped internationally, many of our yurts can be found as settings for exciting adventures and peaceful retreats. With the many creative uses for yurts, it’s easy to see their international appeal. The appeal of owning a yurt home, or of owning a yurt for any reason, is not different internationally than it is for anyone in the states. The benefits are numerous! Yurts are affordable: In places where the cost of living has skyrocketed, a yurt can be almost unbelievably economic. Yurts are beautiful: Yurts are not only beautiful living spaces, but can be perfect options for businesses, retreats, vacation getaways, or personal spaces. They are lovely, spacious, and filled with light. Yurts are mobile: Those who enjoy picking up and living elsewhere with not much fuss can do just that. They get to keep their own living area and experience a new environment at the same time. Yurts are low impact: Yurts leave a very small footprint and can be removed leaving virtually no trace. Yurts are easy and quick: Yurts can be built quickly—in a matter of hours once the platform is constructed. Guests of our friends at Ignacio Springs Bed and Breakfast can choose from a long list of themed yurts at this oasis on the Baja Peninsula. Several of the yurts are right along the Rio San Ignacio River. Those who wish to can hike through the desert to see aboriginal cave paintings or do a little Baja whale watching. The yurt themes are wonderfully varied from the King Neptune to La Canadiense and from China Wall to The Howard Johnson. In Canada, yurts are popular for the usual vacations, but also for more adventurous getaways. In British Columbia, the owners of the Barefoot Beach Resort have built luxury yurts on the banks of the gorgeous Skaha Lake. Their guests enjoy a private beach and on-site amenities, such as a market, beach club, and general store. Further east in Ontario, a bear hunting and fly-in fishing outpost, offers yurt stays to sportsmen, sportswomen, and their families at the Ontario North Outpost on Lynx Lake. The lake is famous for Walleye, Northern Pike, and large Smallmouth Bass. One of our international customers runs a home-based art school in Melbourne. She offers watercolor workshops for adults and art classes for kids, all in her art yurt in the back of her home. In New Zealand, a popular blogger and author lives and writes from her Pacific Yurt on an organic farm. Her family moved from a South London terrace home into a yurt home and has never looked back. You can read about their adventures here. (The photo on the right is provided by Lulastic and the Hippyshake). Yurts are widely used in the UK, where glamping holidays have soared in popularity. Yurts are just one type of creative “small space” lodging included under the glamping umbrella, but they are one of the more popular choices. Europeans not only enjoy international yurts in the UK, but many have built vacation yurts elsewhere. One of our customers in England has a 30′ yurt in Chile he uses as a vacation getaway. In most places abroad, the yurt owner has to do a little research on their own to find out about building codes and guidelines for yurt use in that area. However, this usually isn’t as challenging as it might seem. This goes for the shipping as well. When our customers need to have a Pacific Yurt shipped internationally, we are happy to advise about where to make the necessary inquiries into airfreight or ocean shipping. We will also provide guidance towards contacting a customs agent for further information regarding any import fees that may apply. 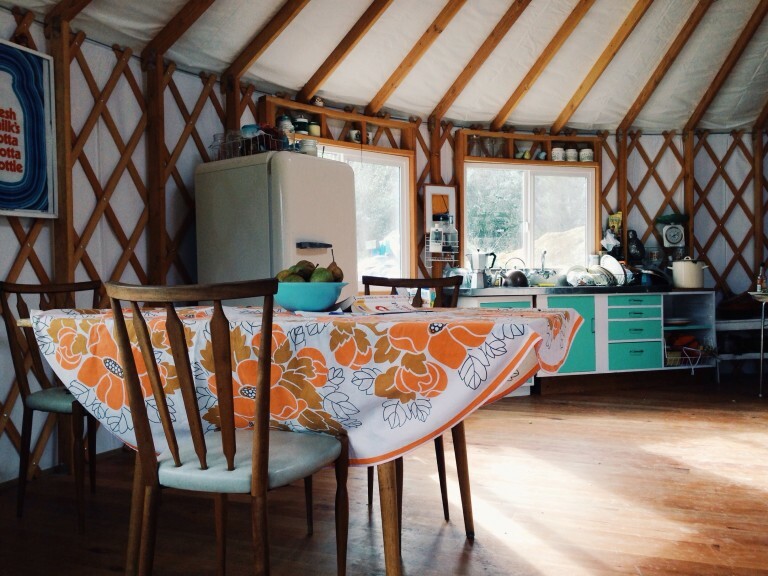 We hope you’ve enjoyed our look at yurts around the world. Contact us today to start talking about your next international adventure!